As you can see from both posts I made the most of the dappled sunlight pouring through the windows to evoke the feeling of being bathed in a glorious Venetian day. It's a similar design to the card from yesterday but I wanted to capture the crumbling brickwork and plaster on the exterior of the building. You'll be wanting some 'how to's I'm guessing - cover your white CS in DS Picket Fence, emboss with a brickwork folder or stencil (I REALLY NEED Wendy Vecchi's brick stencil as it would be even more versatile than my embossing folder - wonder where I can get it from... ) Now run DP over the raised areas with a brayer, and when dry go to town blending in DI's (you'll find a list of colours at the bottom). Now take your life in your hands and soak the CS in water using a mister; it's not just a case of getting a mottled effect, you want to really get those colours blending together and reacting with the Picket Fence. Allow to dry completely and hey presto, and beautifully faded effect. If the colour is still too strong you can add more DS Picket Fence at this stage. Finally scrape thin patches of white texture paste on top. Next to construct the window. Shabby shutters are a doddle when you have white corrugated card. Swipe a bit more texture paste over the surface and cover in DI's (in this Peacock Feathers/Stormy Sky). I added some CS edges using pieces cut out from the centre of the window frame for the last card, and of course what would a Venetian window be without Venice Lace curtains! The trick with this style is to map out where you are going to place your focal points and add the bits and pieces in clusters around/underneath them. More lace, some more new washi tape and then a splosh of script stamping (Archival Ink goes over almost everything). Oh yes, and I needed even more texture so time to flourish my new Dylusions stencil (aren't diamonds very 'carnivale'?) And now for the windowbox. What do you think to my fancy copper filigree one?! The cool part about Linda's filigree metal pieces is that they are strong but thin enough to be cut with scissors, so I went at a corner and hey presto! Add some die cut flowers coloured with DI's and the scene is complete. Hope you've enjoyed my trip to Italy. It's a bit of an obsession now so there'll be more soon. In the meantime check out the goodies used at The Funkie Junkie Boutique. 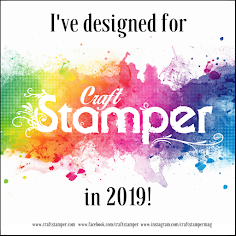 Seriously, Linda is pretty much giving away stencils at the moment as Friday Focus items and there is still a little time left to go for the 15% discount on Artistic Outpost stamp sets too. And then there's the Venice lace, the corrugated card, the Distress Products... see you there soon! 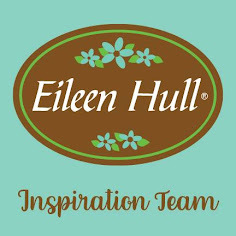 And after that I would highly recommend a trip to the Frilly and Funkie challenge blog to see my teamies brilliant samples - you could even enter the challenge yourselves to be in with a chance of winning/being picked for a $25 shopping spree. Now there's reason enough. Wow Jenny, I think I love this one even better than yesterday's! So many totally cool ideas and techniques, thanks so much for the clear description of how you achieved it all. 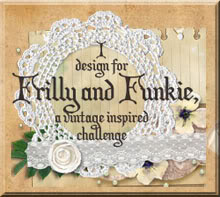 Love the idea of cutting the filigree corners, they are such a good size. The colours look fab together too. Bring us more lol, you are on a roll!! Morning Jenny, Don't know how I missed your post yesterday, but stunning, as is today's post. On a similar vein, these 'peeks' into another world are stunning, loving how you have re-created the windows and views, absolutely stunning textures too. That's a wonderful project, great holiday feeling. A great idea, looks gorgeous Jenny! Hi Jenny, if it is at all possible, I love this one even more than the one from yesterday. There is just something about the brick background and the gorgeous shutters that draws me in - this is absolutely stunning! I love all your little details, the sweet little flowers - wow, the whole thing is amazing. Gorgeous - such clever use of the corrugated cardboard too as well as all the other elements. Oh my Jenny another amazing card, I just love the idea and the way you have pulled it all together. Magnificent. So beautiful - you definitely captured the feeling of a very old building with wide open windows dressed in lace and flowers. This could be Venice, Southern France or wishfully my own home! I've delayed leaving till tomorrow so as to sort it out!!! Once up there and in relaxing mode I am coming back to these gorgeous cards!!! I'm your latest email follower. Good morning Jenny from a very hot and sunny Dalyan, Turkey. I have been peeping in most days to see what you have been getting up to. Just had to comment on this wonderful "work of art" I love it. Oh Jenny this is so fabulous! Love the blue shutters and the brick wall... the lacy curtains... amazing!! Love this, I am really enjoying your Venice series, perhaps we need a girly trip for educational purposes, obviously! How gorgeous! Just love those shabby shutters, and your amazing distressed brickwork - another beauty! I love this card...really beautiful. Great directions also. This is stunning, dear Jenny ! Love your mix of images, textures and colours! Venice is beatiful! One of my favorite cities in Veneto.. and your word is great!